Porter Wright is pleased to announce that David Bloomfield, Jr., partner in the firm's Litigation Practice Group, has been installed as the 123rd President of the Columbus Bar Association (CBA). Bloomfield was elected to this position by the members of the Association and assumes this role after serving a one-year term as President-Elect. Bloomfield succeeds the Hon. Stephen L. McIntosh, who presided over the CBA’s Annual Meeting on June 3, where Bloomfield took office. Sally Bloomfield, Bloomfield’s mother and a Past President of the CBA, administered the oath of office. The Bloomfields are the first ever mother and son to serve as Presidents of the CBA. "This is a tremendous opportunity for David to serve the legal profession and our community. We are incredibly proud of David's dedication and confident that he will serve as an enthusiastic and innovative leader to the Board of Governors, staff and CBA membership," said Robert W. (Buzz) Trafford, Porter Wright's Managing Partner. As President, David will continue to advance the CBA's mission to provide excellent, innovative and cost-effective services to members of the legal profession and general public in Central Ohio. David also will help lead the Association's strategic initiatives, renew the organization's focus on pro bono work, and focus on serving the younger and more senior members of the bar in the coming year. "David is a terrific guy and has all the qualities of a great leader. His energy is motivating, and I’m looking forward to what promises to be a great year," noted Jill Snitcher McQuain, CBA Executive Director. David continues a long standing Porter Wright tradition of leadership in the legal profession on the local, state, and national level. David is the fifth Columbus partner from Porter Wright to have served as CBA president in the last four decades. As a long-time supporter of the Columbus Bar Association, Porter Wright has partnered with the organization to champion such well known initiatives as the Managing Partners Diversity Initiative, Lawyers for Justice, and the establishment of a sustainability-focused Green Committee. David joined the CBA in 1997, and has been an active member and leader of several initiatives within the organization. 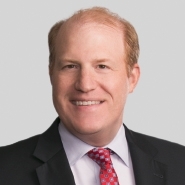 In his practice, David represents clients in state and federal courts in Ohio and elsewhere in a wide variety of cases, with an emphasis on complex commercial and intellectual property disputes. As the Litigation Department’s head of internal communications, he manages Porter Wright’s internal Litigation blog and wiki. In addition, David also blogs actively for the CBA. He has an AV rating from Martindale-Hubbell.